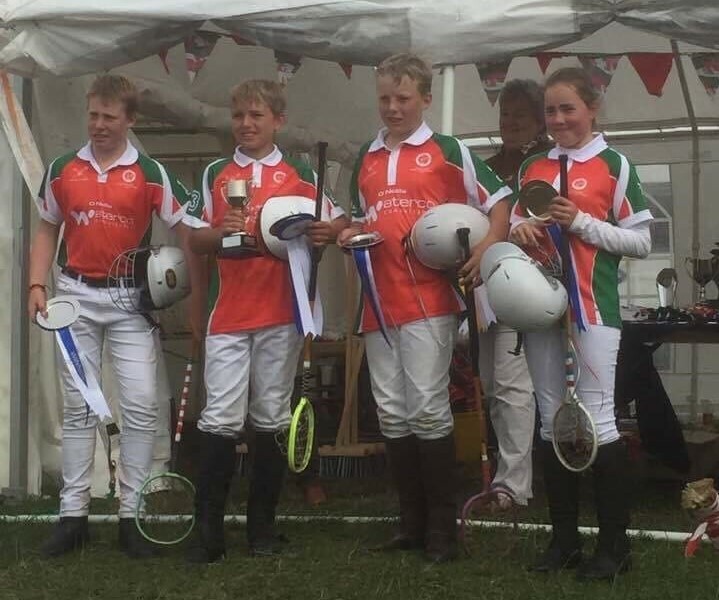 Congratulations to Katie Davies and the rest of her Wales team, who won the Mini Competition at the Polocrosse Home Internationals. Looking for a small pony (up to 12 hands) for a beginner to borrow for mini camp. For more information please contact Nicola on 07917 192647. Flint & Denbigh Anniversary car/trailer stickers will be available for sale at camp. You can also contact Iona if you would like to buy one. £2 each (secretary@fndponyclub.org.uk). Setting up for camp on Friday 28th July from 6pm. Many hands make light work. Please bring tools, strimmers, etc. (if you have them). VOLUNTEERS NEEDED TO HELP AT CAMP. Parents of members attending camp please read the attached, so that you are aware of your duties at camp, and ensure that you turn up at the right place & right time. Arrive on the first day and leave pony in the lorry/trailer. DO NOT UNLOAD YOUR PONY. Camp induction talk at 9.30am. Cakes, biscuits etc. will be gratefully received for camp. Please bring them to the kitchen on the first day. Ensure that tack & stitching on tack is in good condition and that it fits correctly. Ensure that your pony’s feet and shoes are in good condition and that it doesn’t need re-shoeing during camp. If you are penning your pony – remember to bring the electric fencing, posts, charged battery, hay, bucket & MUCKING OUT EQUIPMENT. It does get cold at night – remember to bring extra blanket & a warm sleeping bag. If you are doing nightwatch, remember to bring your own sleeping bag, pillow, extra blanket. Do not allow children to bring mobile phones, ipads or other valuable items to camp. We are looking to set up Lunge Tests for Area 5 Candidates, one to be held in October, and one in March/April 2018. Each test will have 2 training sessions beforehand in preparation for the test. Pre-requisites to take the Lunge test are to have passed the B Test Care or full B Test, and a minimum age of 15. It is necessary to pass the Lunge test before going forward to B+ or AH tests. Candidates should bring their own, or a borrowed, horse/pony that they are familiar with for the training and the test. 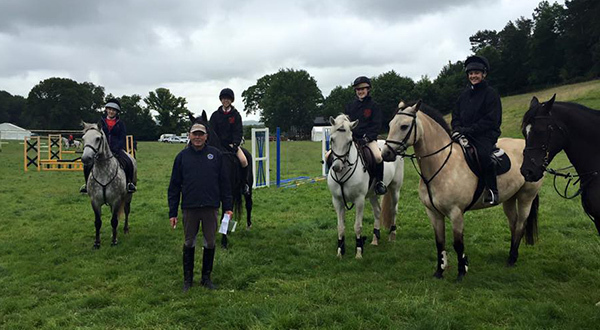 Llanrwst Show are inviting Pony Club branches to compete in their Inter Hunt Relay competition. This is a fun competition with jumps no higher than 75cm. There is a cup for the winning team and rosettes for all placed. The competition is to be held on Saturday 19th August at Berth Ddu, Llanrwst, which is just off the A470 at approximately 4pm. During the day there are many showing and novelty competitions, with entries for these being taken on the day. Entries for the hunt relay along with a cheque for £20 are to be sent to: Ceri Hughes, Hendy, Cae Melwr, Llanrwst, LL26 0SD. Foxes Riding School have a Ride Safe exam taking place which is open to Area 5 Pony Club members. Training sessions will take place on: Monday 24th July, Tuesday 25th July, and Monday 31st July, all 6.30-9pm. The minimum age to take the exam is 11 years old. Training costs £90 for the 3 sessions and the 3 sessions need to be completed before taking the exam on Monday 7th August. (time yet to be confirmed). The exam is to be booked through the BHS costing a further £95. Please contact Foxes for more details (enquiries@foxesridingschool.co.uk). Click, Fill in the Form and Renew or Join!! !